Size Large DCU IBA with 3rd ID ACH. Edited by VE45, 23 December 2010 - 01:11 PM. USMC coyote IBA with Lightweight Helmet. 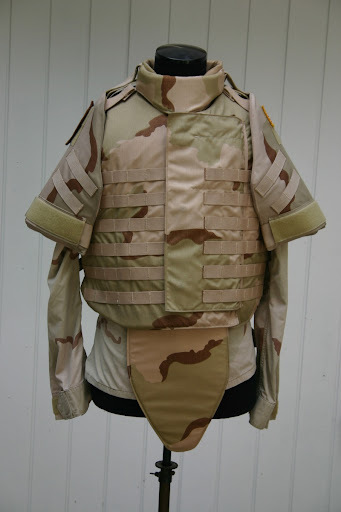 Armorlite LFT vest made by Protective Products International. This one has a 2004 manufacture date and can also be fitted with ceramic plates. Very light weight design. Edited by P-E, 27 December 2010 - 09:25 AM. 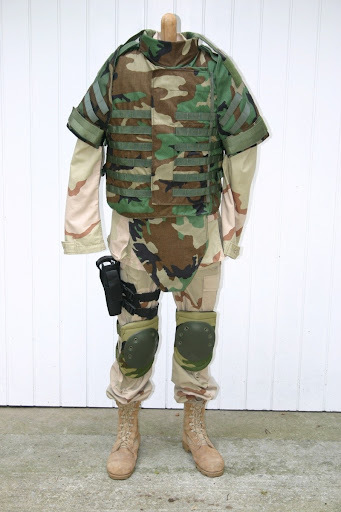 PBPV-II-AAF (used by PsyOps, Rangers, Special Forces,...).